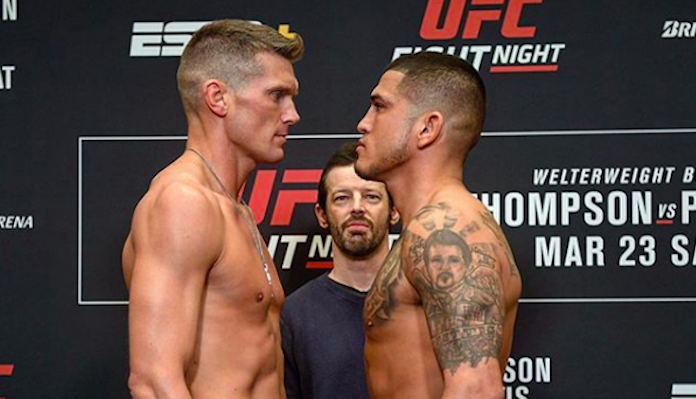 Stephen Thompson suffered the first knockout loss of his MMA career to Anthony Pettis on Saturday night in Nashville. 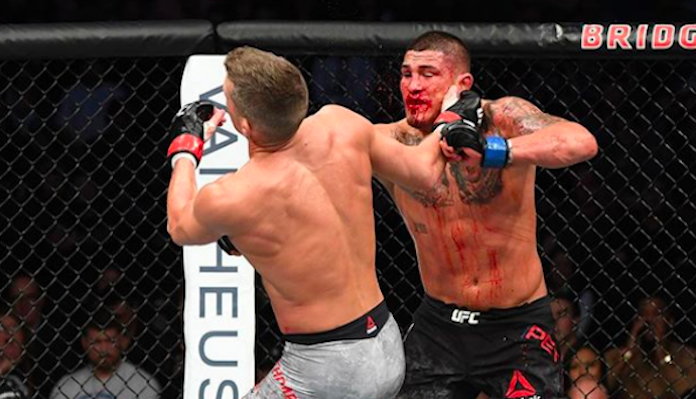 After seemingly dominating the opening few mintues of the fight, ‘Wonderboy’ was caught with a superman punch from Anthony Pettis with just five seconds left in the second round. It was a clean punch that knocked Thompson out cold. With that said, ‘Wonderboy’ knows he has been hit harder than that in the past. “I know I’ve been hit harder than that, I know Tyron has hit me harder that,” Thompson said on The MMA Hour (transcript MMAFighting). “Why did this punch affect me like it did? The only thing I can think of is it just being right on the money. Sometimes, that’s all it takes. I threw a sidekick that kind of glanced off him and put me in a bad position where my right foot was trailing to the outside of him, which put me closer to him. I know his back was to the cage, so all he had to do was lunge forward and, of course, when you’re throwing your punch with your whole body behind it, it makes it that much more powerful and the last three or four inches is where the power comes from. So, throwing that straight right down the pipe, that’s what did it. For now, Thompson is recovering from the loss and assures his fans he is doing fine. Now, the question remains of what is next for Thompson? Well, he has his eyes on one card, but after his recent loss the timing might not be right.